Here we take a look at the Vans 73 DX Anaheim Factory in blue. 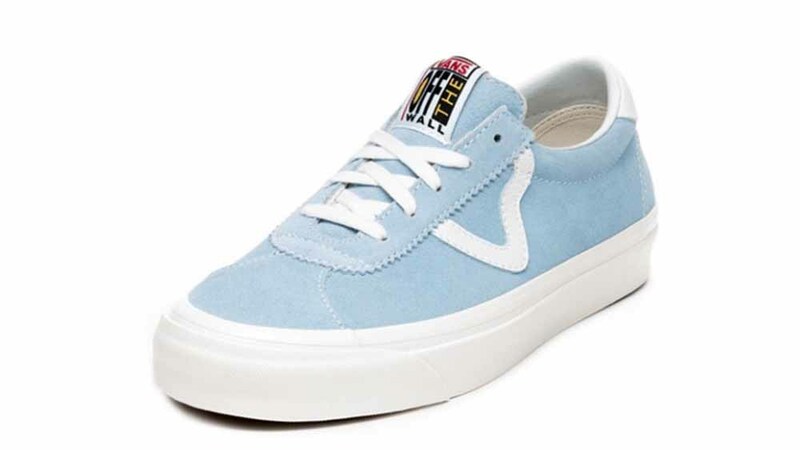 Coming as one of three new silhouettes from the iconic skate shoe brand, the Anaheim Factory pack is one to consider adding to your rotation. Crafted from a suede upper in OG Light – or baby blue – this new silhouette brings a fresh twist to one of our fave shoes. 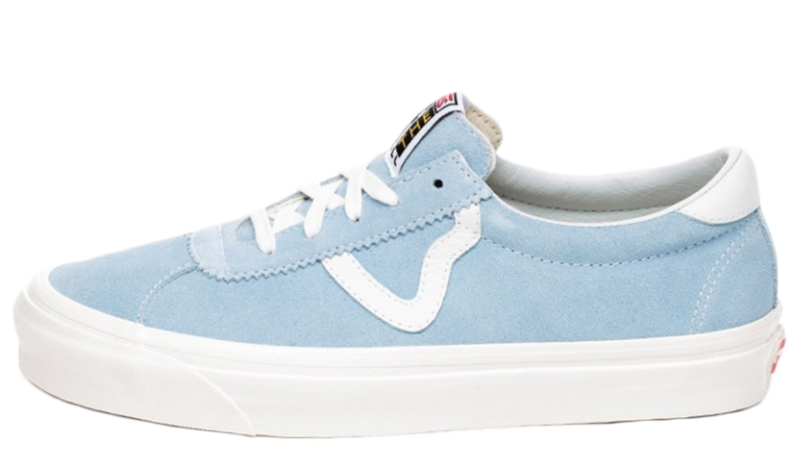 They swap the classic Vans Sidestripe for an abstractly shaped ‘V’ on the outer sidewall in white leather. 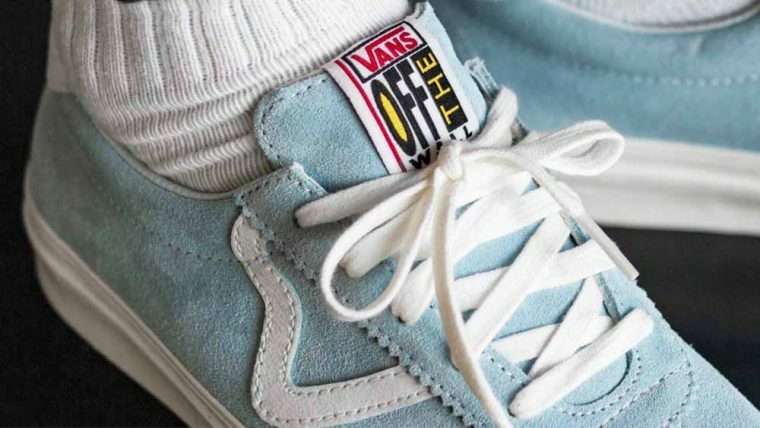 The rest of the silhouette remains as we would expect for a Vans trainer. 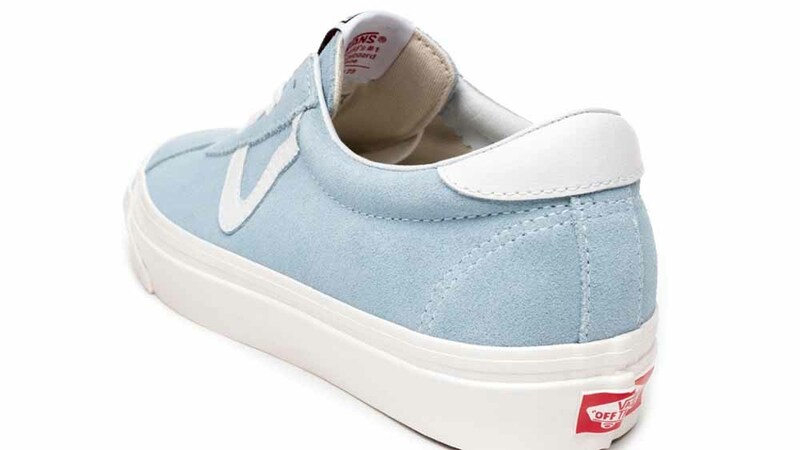 The chunky white midsole and toe bumper remain, bringing a subtle contrast to the blue upper. 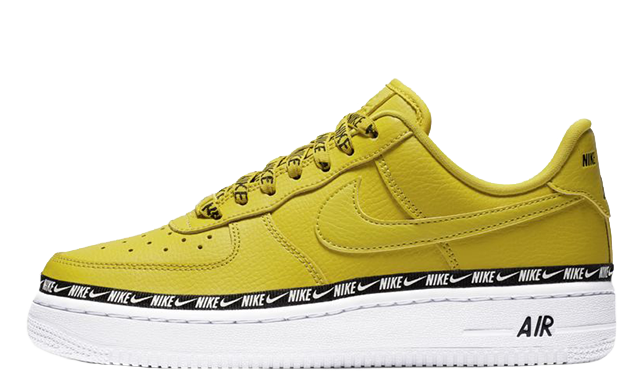 Up top, white laces complement the midsole. At the back, there’s a bright red ‘Off The Wall’ heel label to bring more contrast and instant Vans recognisability. 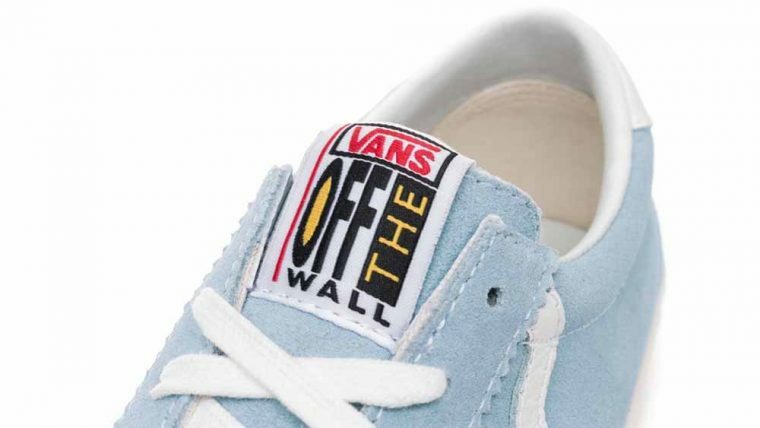 Underfoot, the classic Vans waffle sole adds traction. 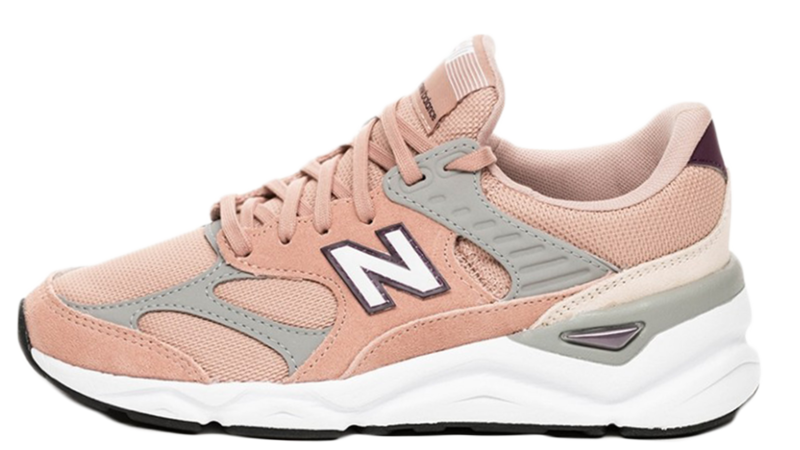 An oversized tongue label brings yet more colour. The mismatching sized typeface in red, white, yellow and black give us retro feels and we love it! Style this shoe for spring with ankle-grazing jeans and a white long-sleeve Tee and you’ll be good to go. 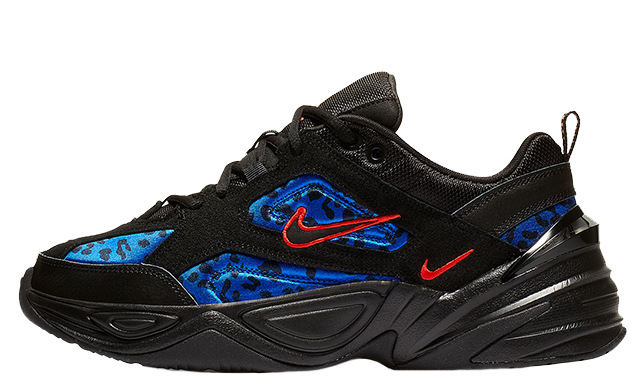 Like these trainers as much as us? 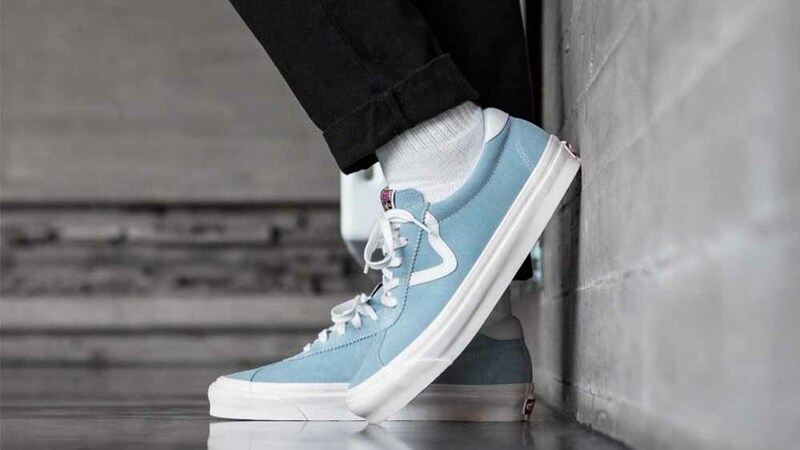 Pick up a pair of the Vans 73 DX Anaheim Factory in blue via the stockists linked on this page. 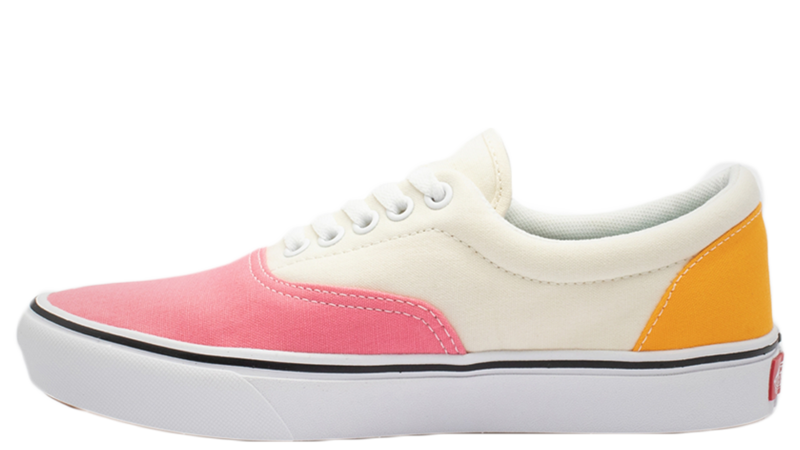 You can find more Women's Vans Trainers Release Dates here!